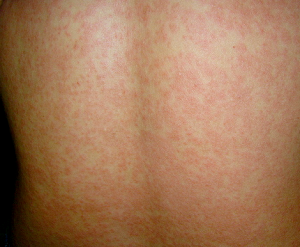 An acute febrile illness associated with polyarthralgias, caused by the infection of the arthropod-borne alpha-virus, Chikunguyna virus (CHIK-V). The first discovery of the CHIK-V was in 1952 in Tanzania, Africa with the first outbreak noted in 1999 in Malaysia affecting 27 people . 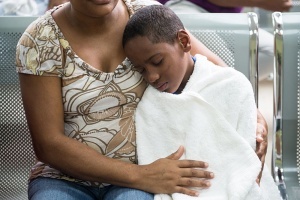 The virus re-emerged in 2004 in countries of the Indian Ocean and has since then, spread to new locations leading to millions of cases throughout countries globally. 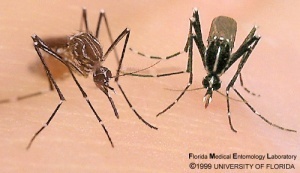 The Aedes Aegypti and Aedes Albopictus mosquitos are the main vectors of the virus. 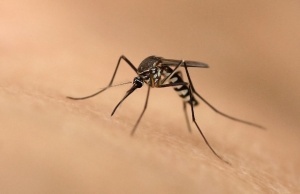 The human being becomes the reservoir of infection&nbsp;and transmitted from human to human via the infected mosquito. There has been increased prevalence in densely populated, urbanized areas, since humans are the only reservoir of the virus. Poor living conditions and maintenance of peridomestic environment including pooling of water in water recipients or tyres and inappropriate waste disposal.These are all sources of Aedes mosquito species. Pains are most commonly in the wrists, elbows, fingers, knees and ankles but are not limited to these. Pain and Joint swelling are often incapacitating and result in severe disabilities which can last for months. Additionally, the individual may experience cervical lymphadenopathy, headaches, fatigue, nausea, vomiting, conjunctivitis and myalgia. There is no specific antiviral therapy for CHIK-V however treatment is usually centered on symptom reduction. The main role of the physiotherapist is to provide supportive care. Disability level is assessed using a standard disability index and plan of care is based on the patient's presentation. The global expansion of the virus demonstrates the effortlessness with which the virus can spread and infect the human population. This will in effect can directly reduce productivity and place a burden on the economy on a global level given the long period of illness. Structural insights into RNA recognition by the Chikungunya virus nsP2 helicase. Experimental Vertical Transmission of Chikungunya Virus by Brazilian and Florida Aedes Albopictus Populations. ↑ 1.0 1.1 Staples J, Breiman R, Powers A. Chikungunya Fever: An Epidemiological Review of a Re‐Emerging Infectious Disease. Clinical Infectious Diseases. 2009;49(6):942-948. ↑ Selvaraj I. Chikungunya. Presentation presented at; New Delhi. ↑ Sissoko D, Moendandze A, Malvy D, Giry C, Ezzedine K, Solet J et al. Seroprevalence and Risk Factors of Chikungunya Virus Infection in Mayotte, Indian Ocean, 2005-2006: A Population-Based Survey. PLoS ONE. 2008;3(8):e3066. ↑ Rhule V. Chikungunya. Presentation presented at; 2015; Utica, New York and Kingston,Jamaica. ↑ 6.0 6.1 Parola P, Simon F, Oliver M. Tenosynovitis and Vascular Disorders Associated with Chikungunya Virus-Related Rheumatism. Clinical Infectious Diseases. 2007;45(6):801-802. ↑ Obeyesekere I, Hermon Y. Myocarditis and cardiomyopathy after arbovirus infections (dengue and chikungunya fever). Heart. 1972;34(8):821-827.